Polēpolē invites foodies and adventure seekers alike to a spectacular evening inside their glamp-tastic tent for an intimate evening with special guest host Allen Mollel, Maasai warrior and Monarch Adventures safari specialist. Guests will eat their way to East Africa with a four-course modern African-Australian fusion dinner with matched wines while listening to Allen sharing captivating stories about his Maasai upbringing and thrilling safari adventures through his homeland of Tanzania alongside his own incredible photography. Owners Dean and Jeanelle Mariani met Allen on their extended honeymoon through East Africa; the same trip that begun a love affair with African culture, people and food, planting the seed that led to the establishment of polēpolē upon their return. The friendship between Allen and the Marianis has remained strong and they cannot wait to share Allen’s charm and exceptional life experiences with the Melbourne Food and Wine Festival. Mixing modern Australian cuisine and traditional African recipes and ingredients, guests at polēpolē’s Glamping Dinner and Tanzanian Safari Adventure will be instantly drawn to the exquisite flavours of each thoughtfully curated dish on the menu – hand crafted from spices sourced around Australia and throughout Africa. 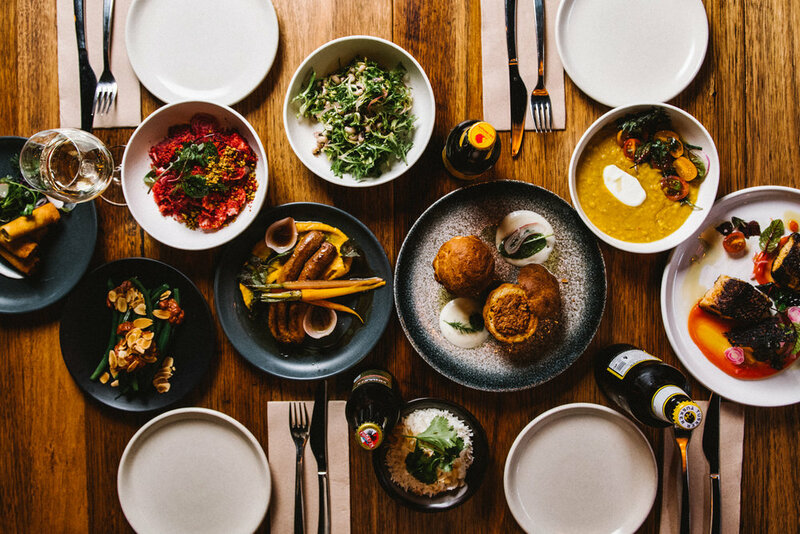 “The ethos behind polēpolē was to blend our love of African flavours with Melbourne’s stylish Food and Wine culture, the result has been something incredibly unique in Melbourne’s thriving restaurant scene” said Dean and Jeanelle Mariani. Tickets can be purchased here.